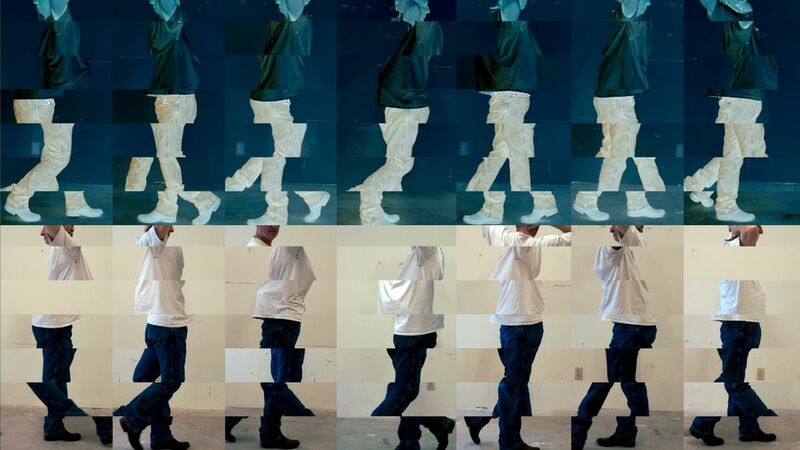 Bruce Nauman is an artist’s artist, if ever one was. “He’s my god,” remarked Tony Oursler at the opening of Nauman’s five-decade retrospective at MoMA. Most of the show actually is across the East River at MoMA PS1. “Oh, that explains it,” said one guest, relieved to hear that the small number of large-scale works divvying up the museum’s top floor wasn’t all there was on offer. Indeed, this is a show that doesn’t look or feel anything like the typical blockbuster. That’s because it isn’t. 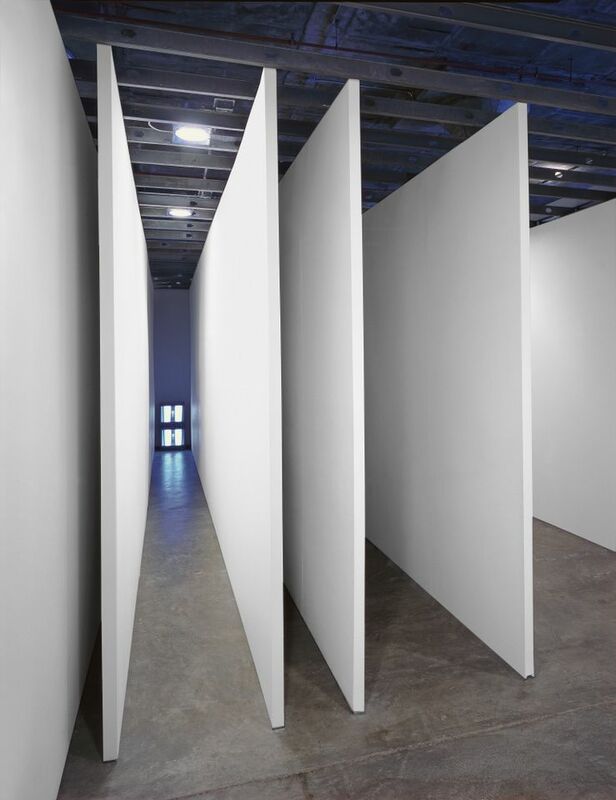 Nauman has spent his life as an artist breaking ground well away from the mainstream or any major art center. (New Mexico is his longtime home.) As the exhibition’s curator, Kathy Halbreich—until recently MoMA’s associate director—selected and organised Nauman’s sculpture, photography, videos, neons, sound works, drawings and maquettes in a manner that similarly defies expectations. 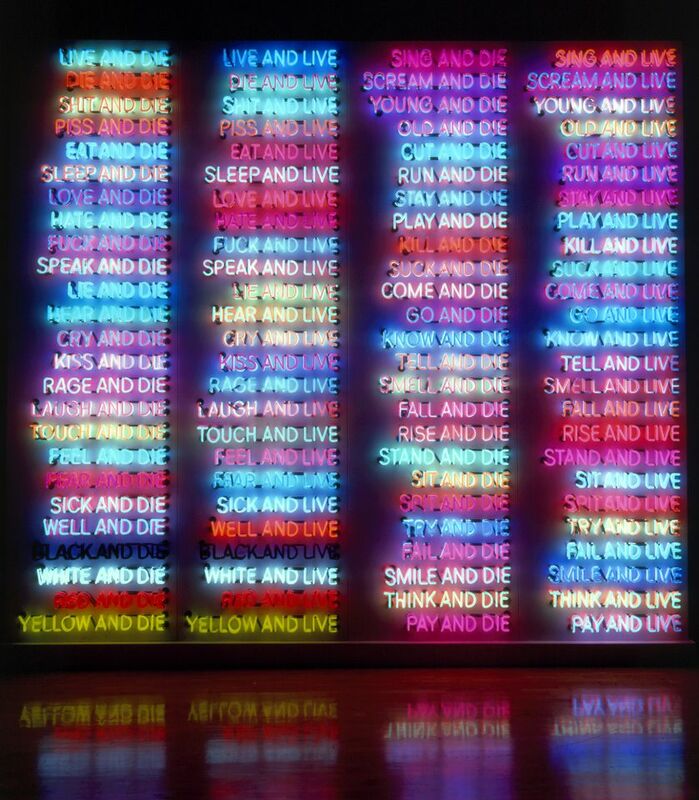 Nauman’s work can be as corporeal as it is cerebral, both mystifying and literal, turning on word-play and ambiguity. Dance or Exercise on the Perimeter of a Square (Square Dance) from 1967-68, shows the artist doing exactly that, repeatedly. Make Me Think Me, a brain-twister of a drawing that—like the 1975 lithograph, Help Me, Hurt Me—appears to be of two minds at once. As such, it's a touchstone of the whole enterprise, which is less sensation than it is sneaky. “It’s based on deep thinking, deep skepticism, and deep willingness to feel uncertain,” Halbreich said of Nauman’s work earlier that day, at PS1, where the show fills all three floors of the building, formerly a city school. She defined that uncertainty as a path to freedom, where nothing is set in stone and everything is accessible, including the darker corners of the mind and the space it physically occupies. Passive viewing is not in the cards here. That may be one reason why the number of people at the bar in MoMA’s lobby during the opening far outnumbered those puzzling out the show upstairs. Nauman is notoriously hard to “get” in the few moments that museum-goers usually give to a single work on view. Throughout the time I spent at each venue, I couldn’t help feeling that this was one collective viewing experience that was most effective when experienced alone. The exhibition forcefully makes that point with Kassel Corridor (1972), which takes up a great deal of floor space without showing the viewer all that much. (One of the disappearing acts indicated in the exhibition’s title.) All that’s visible are the backs of curving walls between which is a corridor far too small to accommodate a human body. Yet a locked door on one side allows viewers who have obtained a key—one per hour—to step inside. The crazy-making, four-channel video comprising Clown Torture (1987), where a face-painted and costumed actor jumps up and down, screaming, “Pete and Repeat are sitting on a fence,” over and over, are at PS1. As is the influential A Cast of the Space Under My Chair (1965-68) and a new, 3D work that Nauman made for the show. It revisits Walk with Contrapposto from 1968, only now he’s not the handsome, lithe figure sashaying like a supermodel but an aging, heavier man struggling to hold his balance. Bruce Nauman, Pay Attention (1973) © 2018 Bruce Nauman/Artists Rights Society (ARS), New York. 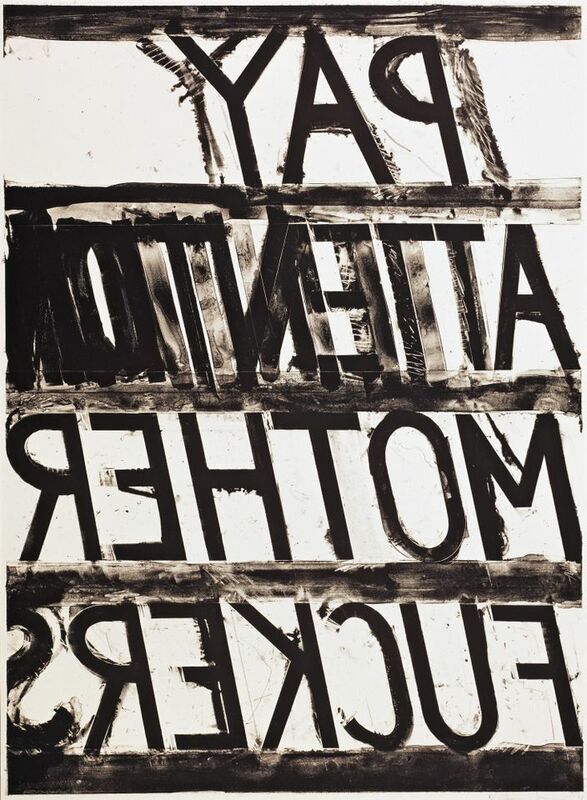 Photo: Pay Attention, © 1973 Bruce Nauman and Gemini G.E.L. This is a show that is all about focused observation, or rather surveillance, which in today’s world makes the often opaque Nauman look utterly prescient.